For this project, I was responsible for creating five original holiday-inspired Lite FM Station Logos to be displayed from BlackFriday to New Years Day. I aspired to make each logo stand alone, with a varying form of holiday spirit for the Art Director and Station Programs Directors to choose from. I was restricted to the traditional Lite FM logo color scheme as well as their holiday color scheme of red and gold. I started by taking their original holiday logo and adding the ornament as the “point” in 106.7. I thought this was a playful and tasteful way of decorating their logo without deviating from the call letters. I continued by playing on the holiday themes, adding snowflakes, snowmen, gift-wrap, and a good-humored Santa. This gave the Art Director and Station PD’s options that fit with the specific style they were hoping to portray for the station. The ornament logo was chosen for its elegance and simplicity. 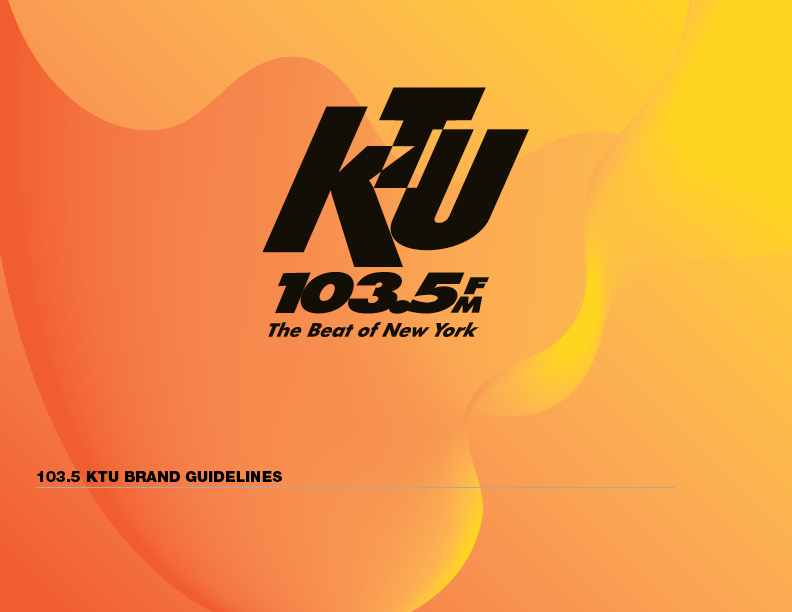 Cultivated and designed Branding Guides for Clear Channel New York’s Stations Z100 and 103.5 KTU.